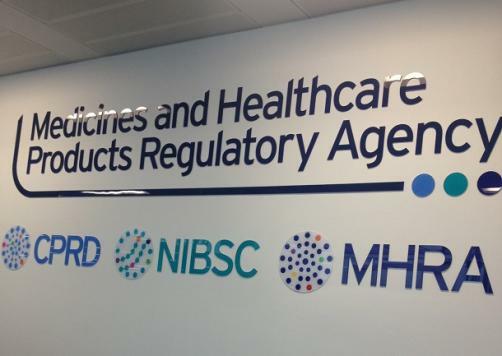 UK drug watchdog The Medicines and Healthcare products Regulatory Agency (MHRA) has warned of the potential side-effects of Neo-mercazole (carbimazole) in the treatment of hyperthyroidism, cautioning that its use can lead to an increased risk of congenital malformations during pregnancy, particularly in the first trimester. The malformations can manifest as absence of skin; facial dysmorphism; defects of the abdominal wall and gastrointestinal tract such as exomphalos, oesophageal atresia or omphalo-mesenteric duct anomaly; and ventricular septal defect. The agency warned women of child-bearing potential to use effective contraception while receiving the drug, and to contact their doctor as soon as possible if they are planning or due to have children. Neo-mercazole is prescribed approximately 45,000-50,000 times per month from GP practices in NHS England, and should only be used when an underlying condition cannot be definitively treated prior to pregnancy, or in the case of occurrence or occurrence of the condition during pregnancy.